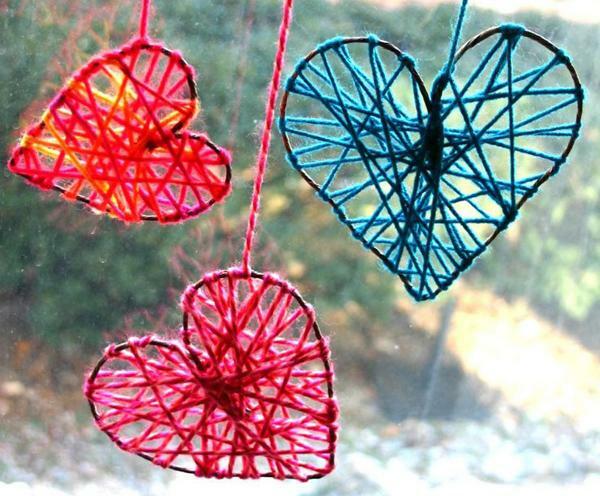 Form a heart shape from any bendable but strong material and then tie with different colors of yarns. Loop it in a way that won’t be messy then leave a longer cord so you can either hang it or tie it. If you thought that gift-giving is over, what with Christmas day passing almost as quickly as blinking, you are quite wrong. Although not really as necessary as Christmas or birthdays, Valentine’s Day gifts are also rampant. Most especially of course if you have that someone special you want to spend the day with. Those gifts shouldn’t really be extravagant. 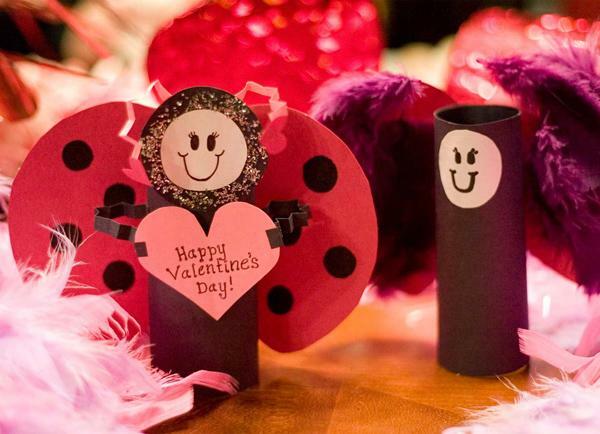 Something simple and even handmade crafts tend to show the meaning of Valentine’s much more than gifts you can simply buy on shops. Since it’s V-day, heart-shaped gifts are most common. 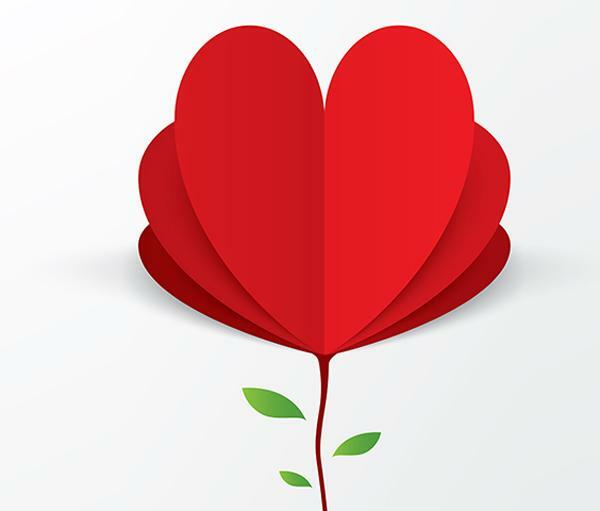 It’s the symbol of love and it’s the day all of us celebrates love. 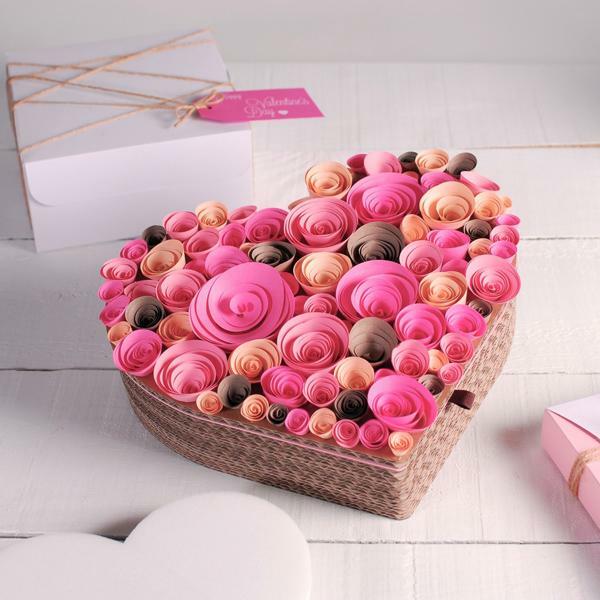 So don’t crack your heads further; as you can’t give your heart away literally, handmade heart crafts made with love would be the perfect gift to anyone special in your life. Creativity – for new and original concepts of heart designs; or simply by adding improvements to usual crafts. Patience – because surely some of these crafts could take longer to build. And sometimes some things just doesn’t really come off easily the first time. Good tinkering skills – you don’t need to be an artist to create crafts but being able to at least have some talent in crafting would be an advantage when you’re tackling complicated crafts. Otherwise, there are much easier projects your special someone would still appreciate. Time – Weekends are good. You would have more time to indulge yourself in creating these crafts. Of course more time would mean that you can take things much slowly for a much better result. 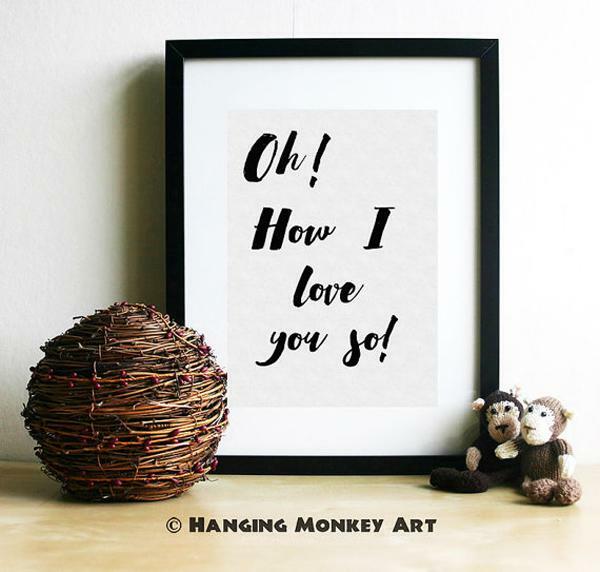 Personalized crafts tend to pull more heart strings than usual gifts. There’s more sentimental value on it. Knowing that you’ve spend time on your project and diving out of your comfort zone would definitely make your loved one appreciate you and your gift more. Plus, you can always use your crafts as design for a much more beautiful home. To top it all, you’d definitely get the sweetest hug from that person. So much worth it, right? Don’t know what to do with your old heart-shaped box? 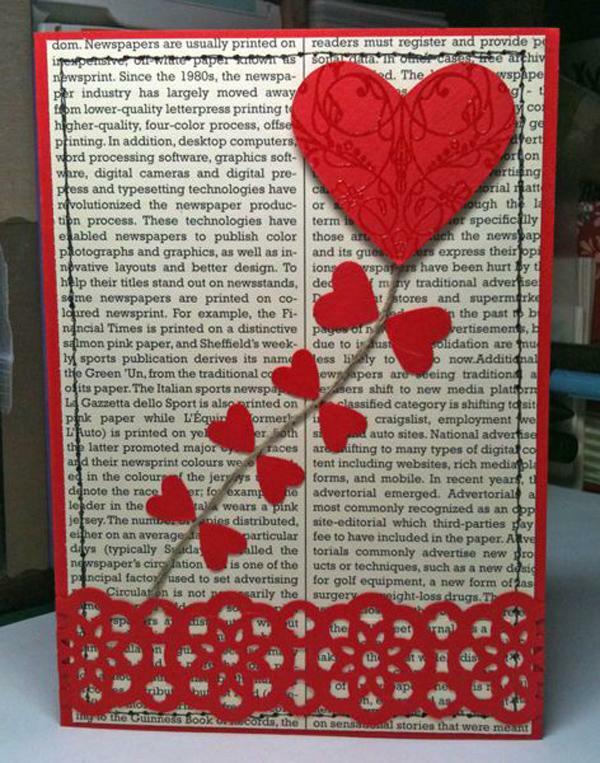 Take out craft papers (colors of your choice) then cut out strips of different widths. Then roll these papers and glue them together. Here’a simple art work that even your children can do. Just don’t forget to use unused newspaper, magazines or books otherwise your book-loving partner wouldn’t like it if their favorite reading material gets torn up. This could be an upgrade of the first craft. It cna take more time and you would probably need craft wires rather than yarns. But the end result is definitely amazing. Cards never go out of style. It’s something that you can always do on your own but a pop-up card would challenge your creativity more. Ditch your regular blackboard for the day. 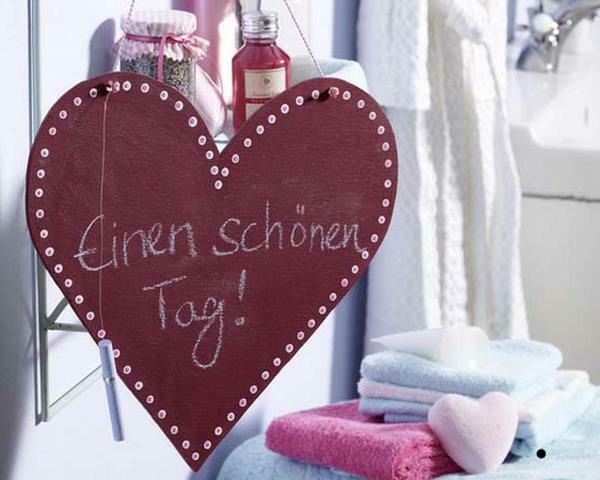 You can cut out a heart shape from old blackboards, add cute borders and your personal message written for the day. 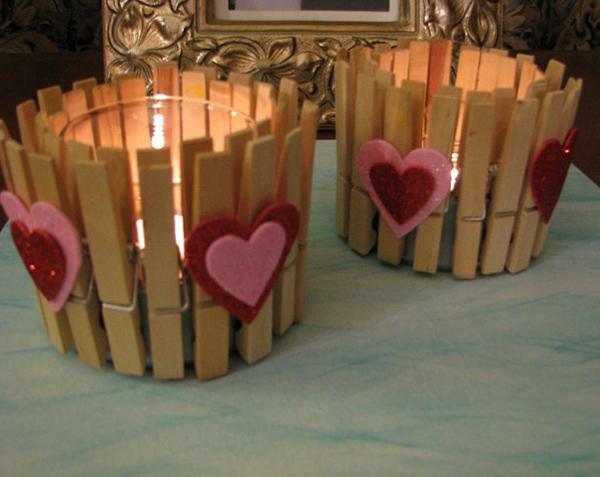 If you’ve got a candle-making set, now would be the best time to create something that will light up your Valentine’s Day. 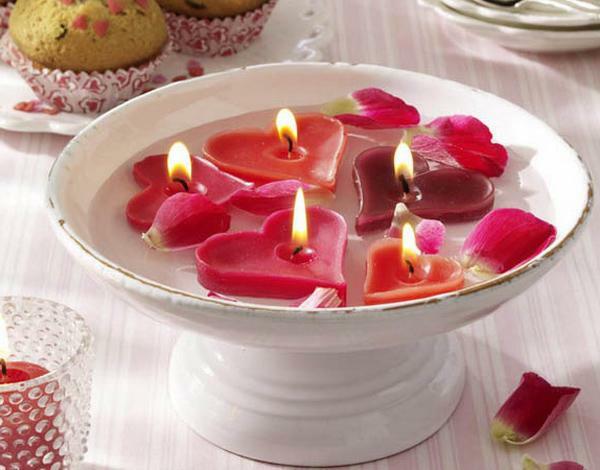 Scented candles and rose petals would make everything more romantic. Cozy for the dinner, right? Nothing beats a sweet gift, so how about a heart-shaped chocolate dessert you can surprise your loved one with? 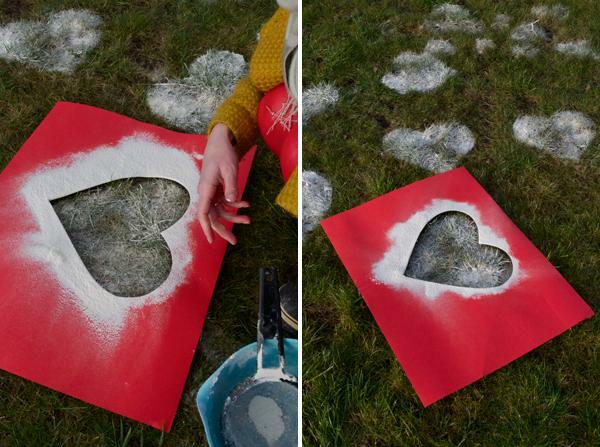 Make your own heart stencil. The lawn will be your canvas. Enjoy! 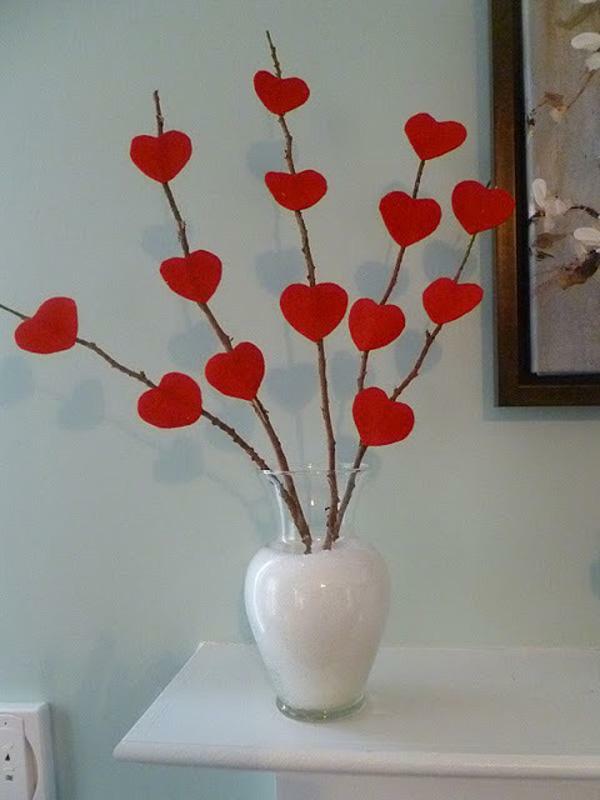 Here’s a simple thing to do with a vase, some twigs, and cute little heart cutouts. It’s a good project for little kids out there. 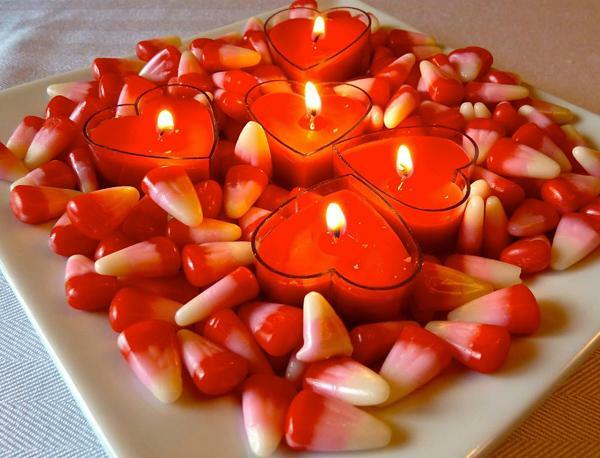 Bring out your heart-shaped candles and place it in a square plate with various decorations you can think of. Just be sure that it won’t burn easily or at all. It can create the ambiance for a romantic dinner date. Tissue cores are no longer useless. Create little dolls that will bring your message to your loved one. It’s something to keep your imagination and creativity rolling. What can you probably do with ice? Well, design it with berries and some decors like lollipops before freezing it. 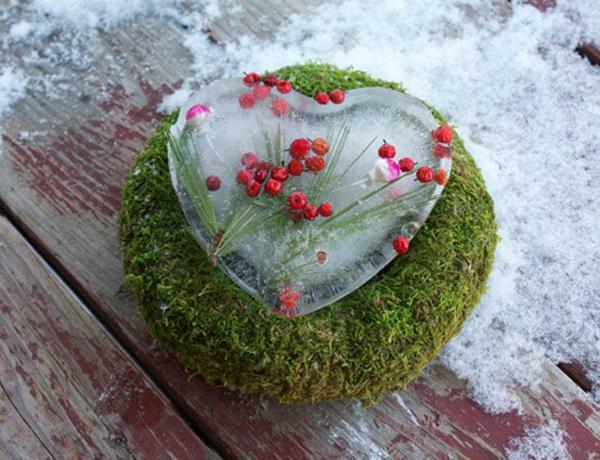 It would be much better to make a heart-shaped ice for a perfect Valentine’s craft. 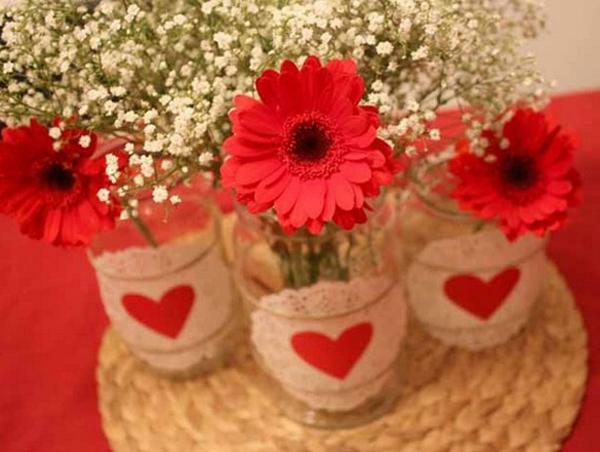 You can turn some unused glasses to cute vases. It’s simple to design these as well so your kids can join in the fun. Fan of Beauty and the Beast? 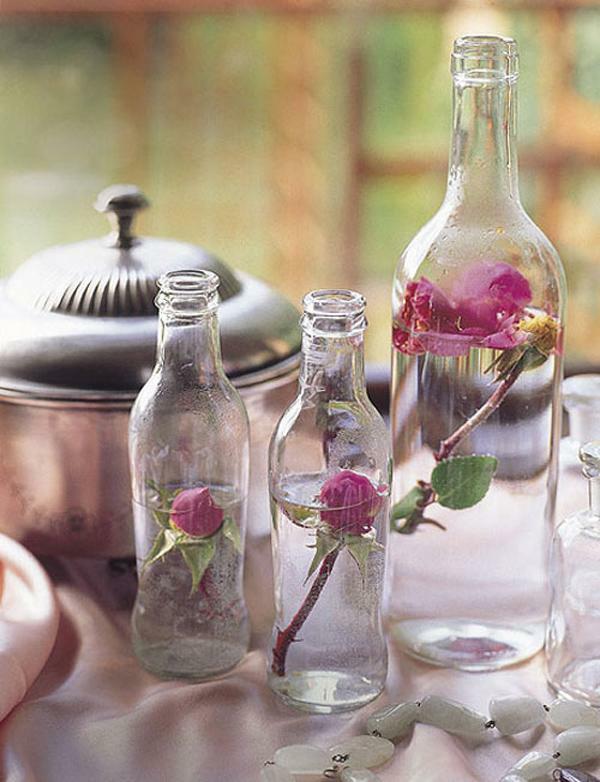 Pour water your glass bottles and carefully place a single stem of rose inside. Roses that are yet to bloom could make the picture much perfect. Think old-fashioned glass candles are too boring for a special dinner? Here’s how to make it look more interesting and fun. And what you need? 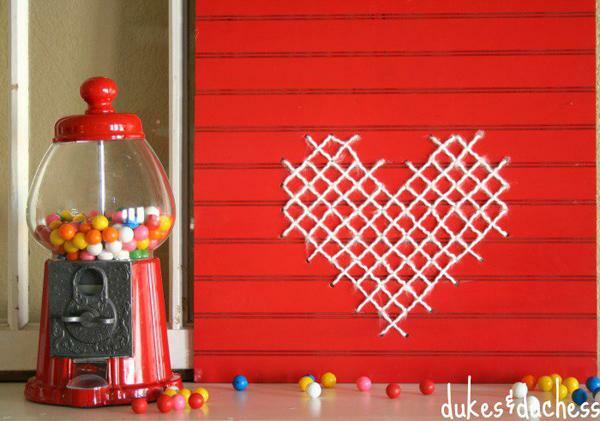 Heart cutouts and clothespins! Got the good penmanship or perhaps a talent in calligraphy? Write your own message and simply frame it. It would mean more than the statements framed that you can see on some shops. This could be a great project for kids out there. Outline your hands and create two cutouts which would serve as the cover. Then have the message in between just like a unique card. 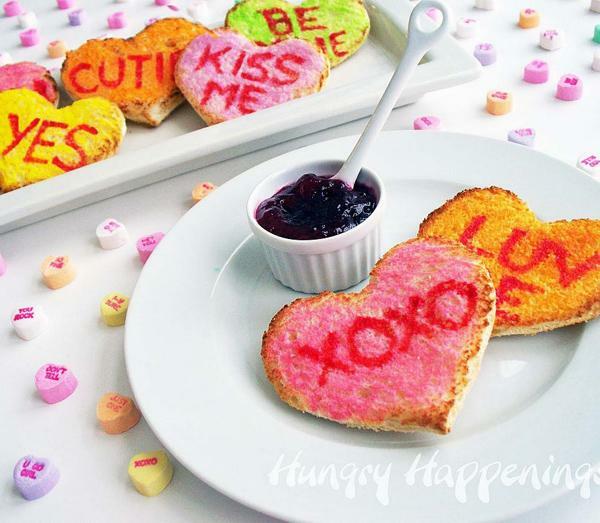 Toasts and jellies are great for breakfast. But this breakfast idea is much greater and delicious to share with the family. Here’s another project for paper pop up cards that you and your kids could do. Guide your children in using sharp objects and glue. It would be great to offer a gift to someone that they will truly enjoy. This is one of those kinds of gifts that can be purely just for decoration but will surely be accepted with enthusiasm. 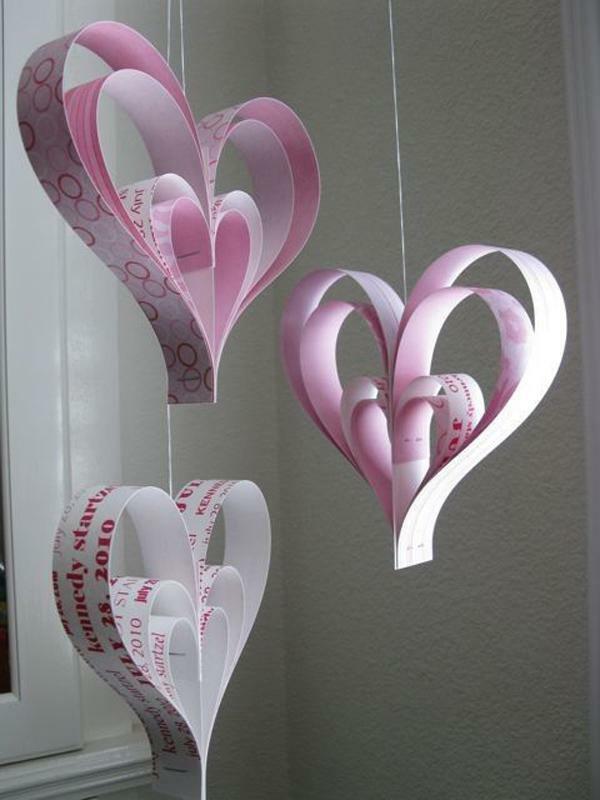 Create a heart chandelier made out of craft papers, magazines and strings. 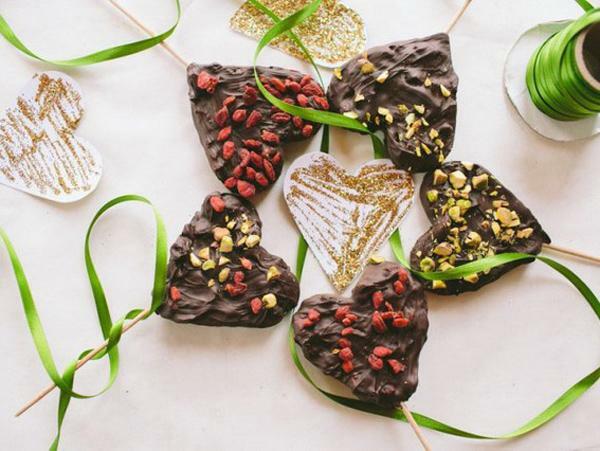 You can simply give chocolates to your loved one or create these cute animal cutouts that can give those chocolates in your behalf. Kids and kids-at-heart will truly enjoy these. 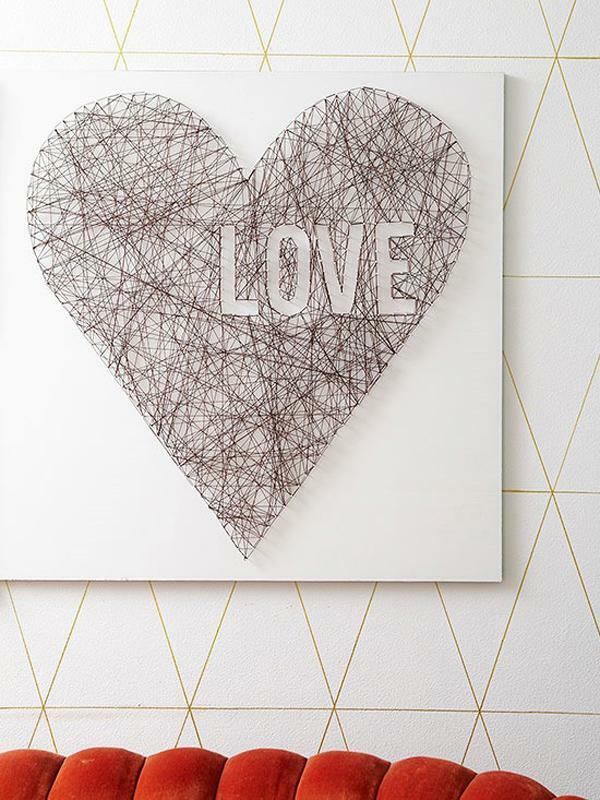 Bring cross-stitch to a higher level; using a wall or cardboard (a big one please) and yarn. It’s unique and even fun to do.